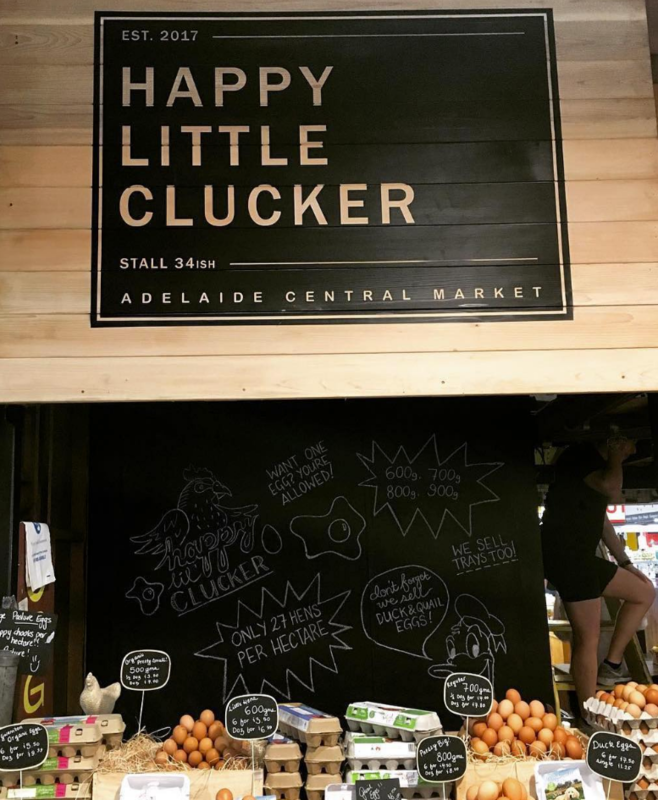 Happy Little Clucker - Adelaide Central Market: The City of Adelaide's premier food destination. Over 70 traders under one roof. 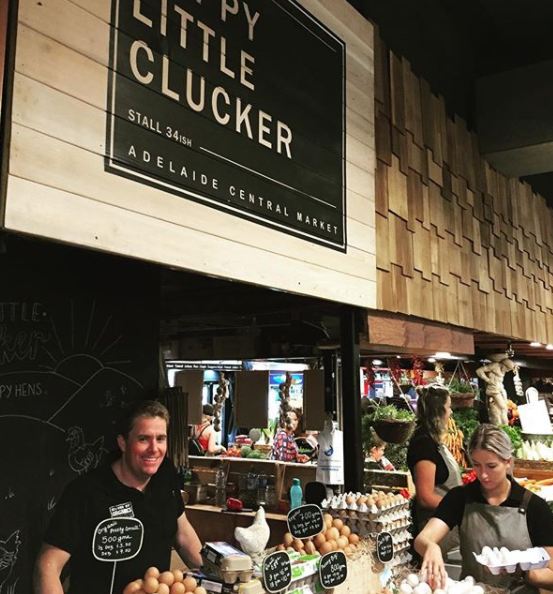 Want the best eggs SA has to offer? Head on in for eggs from happy hens raised on chemical free pastures in the rolling hills at Mt Pleasant. All yolks aside, we think these are the best clucking eggs you can get!! We’ve teamed up with The Natural Egg Co from Mount Pleasent to open a dedicated egg stand inside House of Organics. We stock chook eggs of all sizes as well as quail and duck eggs. These birds have a great life, roaming spray free pastures all day under the watchful eye of a couple beautiful dogs.